By popular demand artist Richard Merkin becomes our latest Elegant Male. Richard would make it for his collection of braces alone (top picture), but the man was dandy incarnate. He lived and breathed and, obviously, wore — clothes. He was clothes mad, quite frankly. Richard's love of traditional gentleman's attire, and the suavities that emanate from dressing in such a way, dovetailed with his work as an artist, which was inspired by the Jazz Age. Tom Wolfe thought his friend had one of the 'great moustaches' in art (Dali having the finest 'tache, unquestionably). You might know Richard from the cover of The Beatles' overrated album Sgt. Pepper's Lonely Hearts Club Band. Amongst the throng immortalised on the cover, he's to be seen on the back row wearing a hat. Richard's dandy credentials were put to use in a column called Merkin on Style he wrote for American GQ. The world became less well dressed in 2009. In an obituary for GQ, Glenn O'Brien postulates that Richard's adherence to high standards in dress was 'almost a revolutionary act, as if through ignoring the prevailing fashions he could challenge the cultural decline they expressed'. 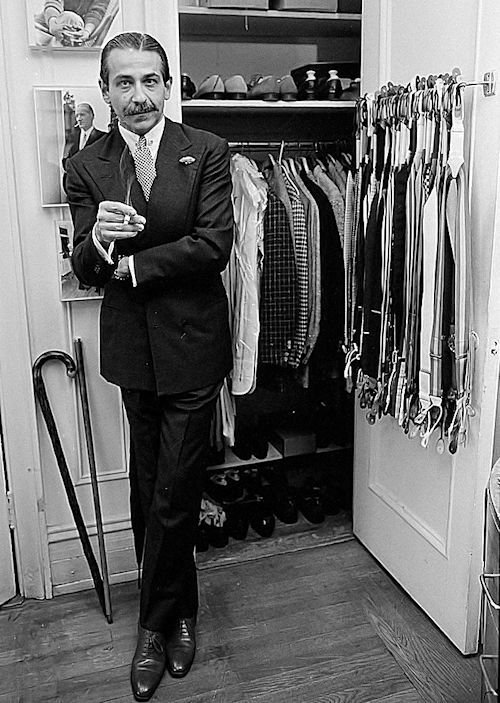 Richard's contribution to dandyism was celebrated in an exhibition at the Rhode Island School of Design Museum called Artist, Rebel, Dandy: Men of Fashion. Richard was a graduate of the school and also taught painting there, donating some fine examples of his bespoke suits to the museum. 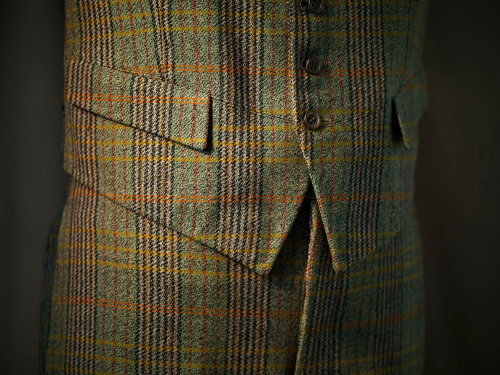 The suits you see below were made for Richard by New York and Boston tailors F. L. Dunne and Company. 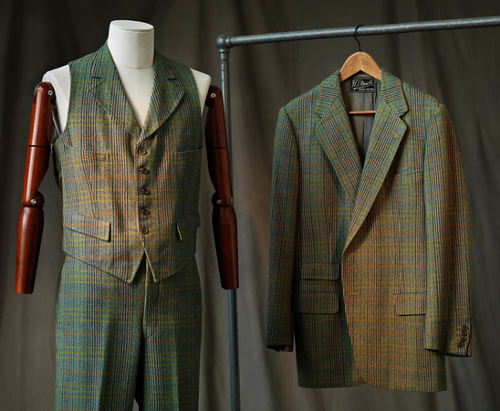 Richard tended to design his own suits. He knew who he was and what he wanted — the polar opposite of someone who seeks out the latest trends in fashion. 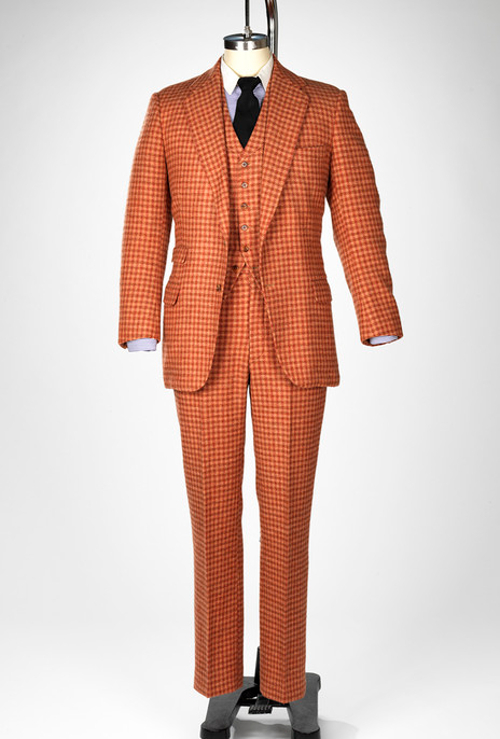 Look at the perfectly matched lines in the pattern of this 1968 three-piece suit in a worsted twill cloth. 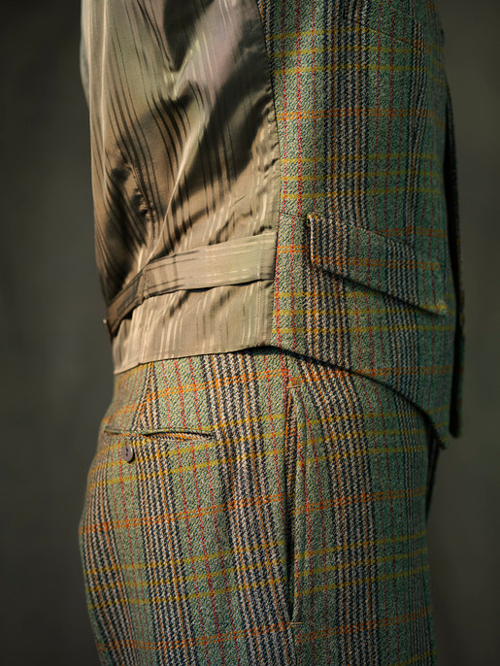 A single glance at this three-piece tweed suit from 1968 shows us something of the expressiveness of Richard's painterly wardrobe, but it's also clear that besides the habitual buttonhole he always wore a smile in his lapel. Never leave home without one. He was also a teacher of art at the Rhode Island School of Design, where I had the good fortune to study with him in the 1980's. He was partial to Breton shirts while teaching, and the first time I saw him in full regalia was at an opening at Terry Dintenfass Gallery in NYC (now shuttered). He had on a three-piece rust colored affair with a not-subtle windowpane. I thought he looked like a million bucks. Thanks for sharing Paul. A fascinating character, he must have made an unforgettable teacher. Picasso was a big fan of the Breton shirt too. Best wishes, Tweedy.